SAP SE today announced the general availability of SAP Business Planning and Consolidation (SAP BPC) 11.0, version for SAP BW/4HANA. The application improves mission-critical business processes including planning, budgeting, forecasting and financial consolidation and reporting, all in one unified solution. Thus, it supports more strategic decision making through accelerated insight to action and serves as a basis for finance transformation and innovation. This announcement was made at SAPinsider Financials being held June 14–17 in Amsterdam. 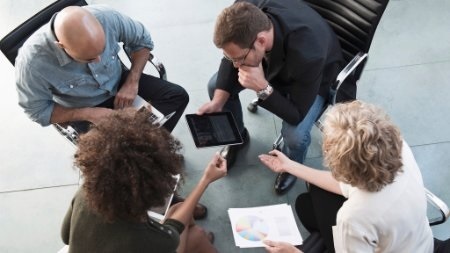 The version of SAP BPC for SAP BW/4HANA additionally allows customers to extend planning beyond finance to other line-of-business planning scenarios. Customers using previous versions of SAP BPC, the integrated planning functionality in the SAP Business Warehouse (SAP BW) application, and the planning applications kit (an SAP BW–based planning solution) can maintain their current investment in SAP BW and gain further technical and functional benefits upon migration to SAP BW/4HANA. SAP Analytics Cloud allows users to plan, analyze and predict business outcomes all in one place. Users can seamlessly move their BPC data and models into the cloud for further planning, self-service visualization and predictive analytics. Finance departments can perform more in-depth analysis by using predictive functions on current data sets combined with potential business challenges and influences before running a budget or forecast. Additionally, the business process flows in SAP BPC provide full integration to extend a hybrid planning process between SAP BPC and SAP Analytics Cloud. This allows for full movement of data and dimensions in a bidirectional manner for broadening business planning scenarios on premise and in the cloud.